NOTE: For more recent artwork look further in this thread, there's much better stuff posted recently! 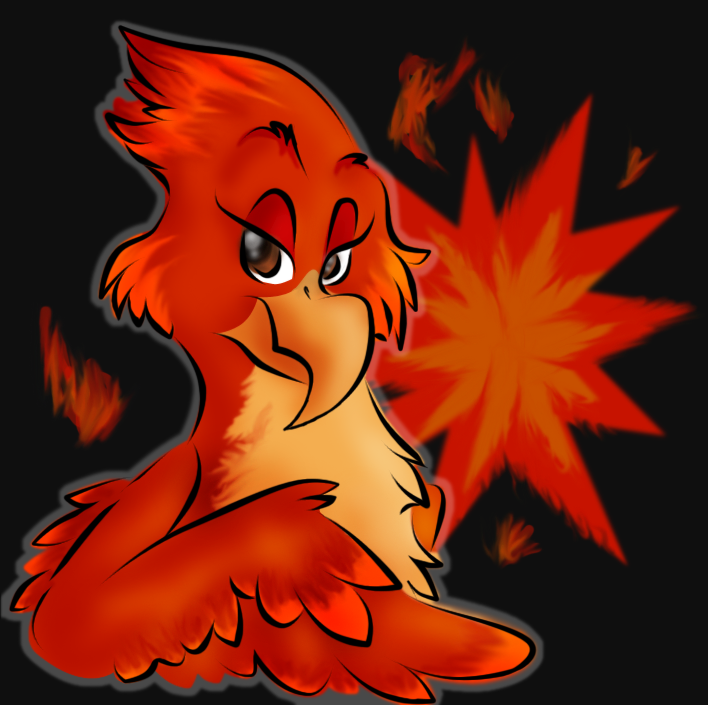 To start it off, here's a drawing of a phoenix from one of my stories I'm writing. She's still pretty much nameless though... it's all about mythical creatures, and I plan to name them all after mythical people. Vampire squirrel from another one of my stories. Last edited by Badger on Thu Feb 23, 2012 12:11 pm, edited 1 time in total. Indeed I do! Excellent work, they look really cool! 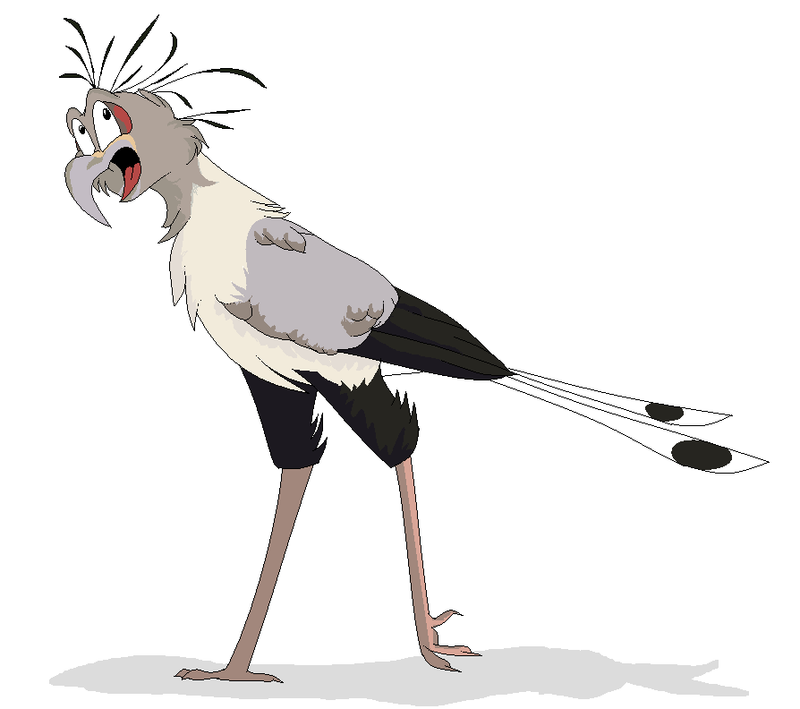 The unique coloring on that second guy is pretty awesome, I like your style on that stuff, and those birds you drew that I saw on dA. Keep at it! 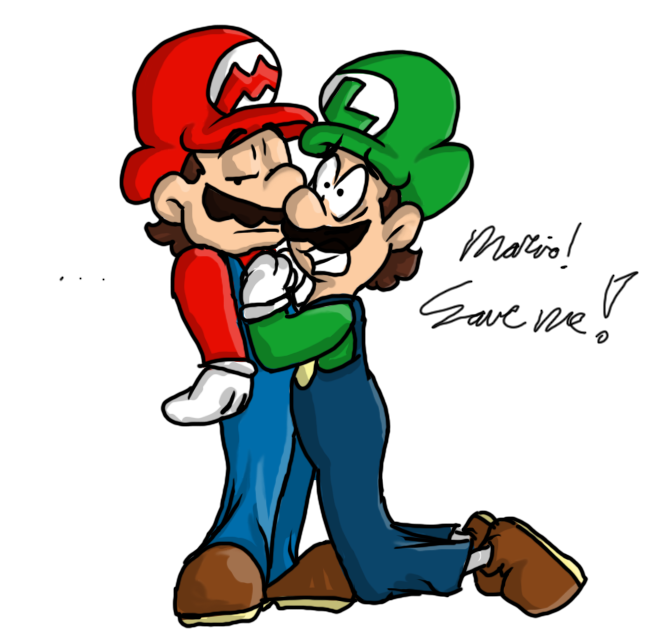 You know, lately I've been slowly slipping back into the Mario fandom... You know, from those Nintendo videogames. And heck, I've got the biggest crush on Luigi. I used to draw these guys begin last year almost every day, so I basically tried drawing them again to see if I still had my 'skills'. Nice to see some more drawings from you, Badger! Judging by those character drawings for your story, I'm starting to like your story already. A vampire squirrel? Nice idea! Pretty original too! The drawing style from both of these drawings reminds me of those Neopets characters, too, but it looks really good! Keep it going with your story, and hopefully you can find somegood mythical names for your creatures, too. As for your forecoming return to Mario fandom, let me be the first to say, "Welcome back to the dark side!" (kidding! ) Nice job on the two Mario drawings, but I especially like the one with Luigi in it, because, it not only has an unique type of drawing style that I haven't seen done with Mario characters, but it is friggin' hilarious! Mario's expression is just priceless! Great job, Badger, and keep on drawing, too! xD Lol... the squirrel guy actually IS a Neopet. xDDDD But he's also an original character of mine. 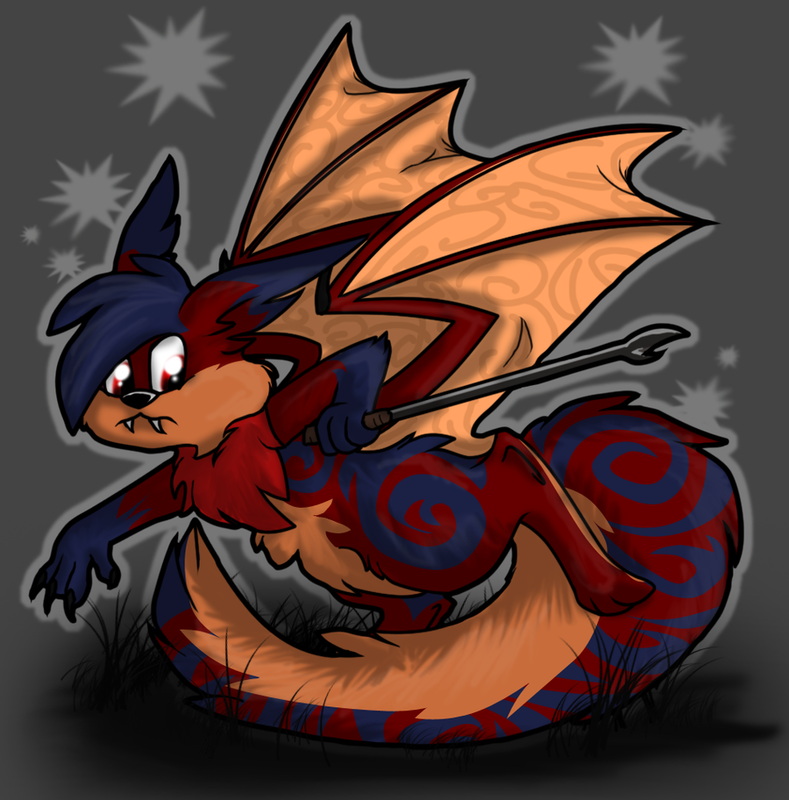 I draw him less squirrel-like whenever I make a picture of him for Neopets. 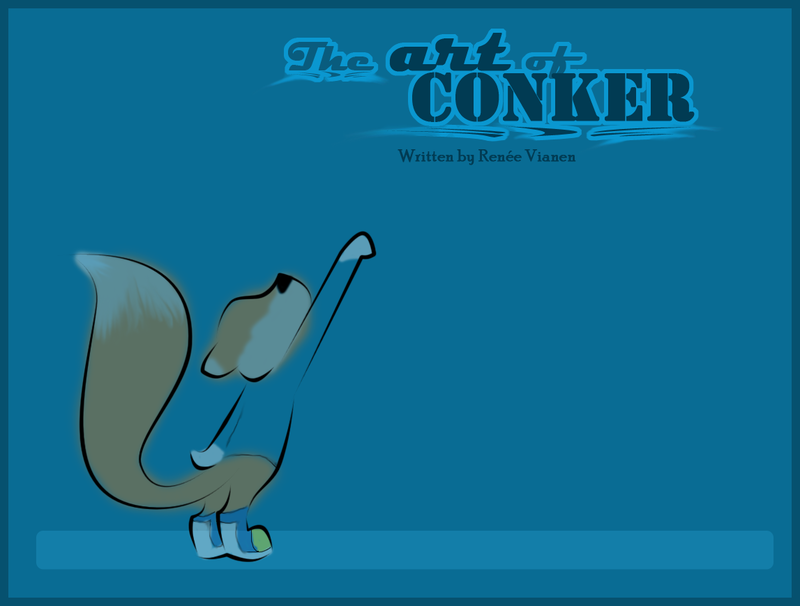 I absolutely ADORE the Conker games, and 'the art of' books, so I thought it'd be a fun idea to make a fanproject called 'The Art of Conker'. I did use a reference, mostly for the anatomy. But yeah, that's amazing how you managed to do that in MS Paint! I'm not much a fan of Mario, but there are a lot of Planeteers who are! Nice colouring and inking work! You know, I like the Mario games. A lot. 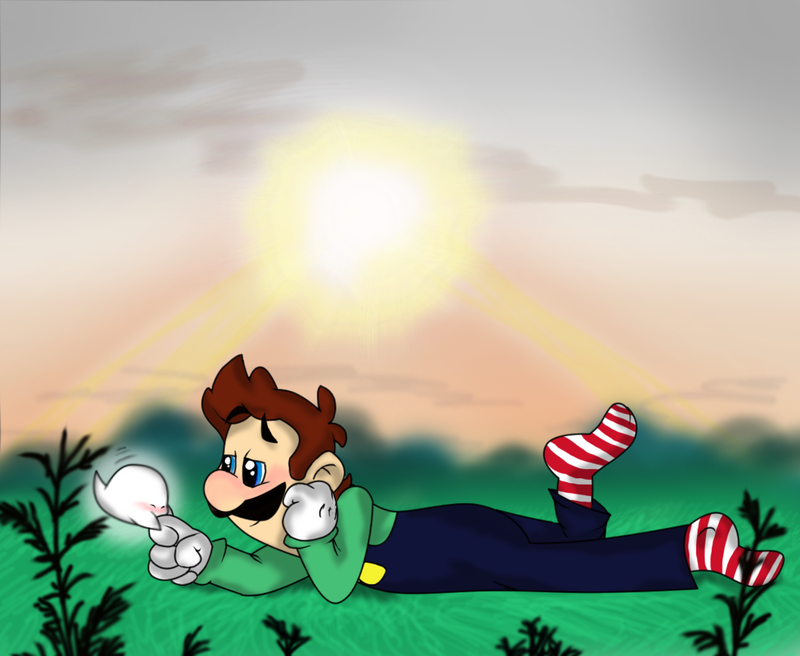 Like nobody knew that by now... but anyway, I just recently drew Luigi. Again. With a Boo. (You know, those little ghosts.) But.. it may be different than you'd think. I didn't click on that link because I saw it before when I was 'lurking' on your dA page (Seriously, can we come up with a better word for 'admiring someone's fanwork without writing comments?). One of the few Mario fanworks I like from you. That ghost just turned my heart to mush. Hey, thanks! Lol, lurking? I've noticed a lot of people lurking lately. I don't mind though. It's cool. I recently made a new ID for on DeviantART. And that's me on the bottom. Although, it did remind me of this guy's work. Is this just coincidence, or were you inspired? Anyway, I really like your take! Especially with the Rat Creature wanting a taste of Luigi! Can I ask you a question? How did you make the background for your deviant ID 'disappear' on your profile? As in, the characters look like they're part of the profile page, with a non-existent/transparent background. I'd love to know how to do that, so they're just 'floating' on the page, and not in a box with the usual white background. I just found out how to make animations with Photoshop. The result? This... thing. Luigi in a bee suit. He actually looks like that at one point in Super Mario Galaxy.